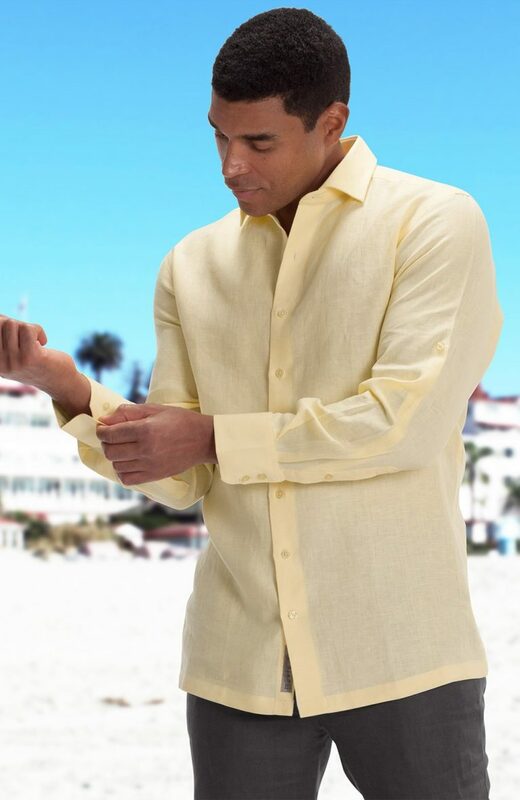 Select the "Tailor It" option for our for a tailored garment. Recommended for the hard to fit, or disproportional body. Including the ability to size all the way to 9XL and beyond. 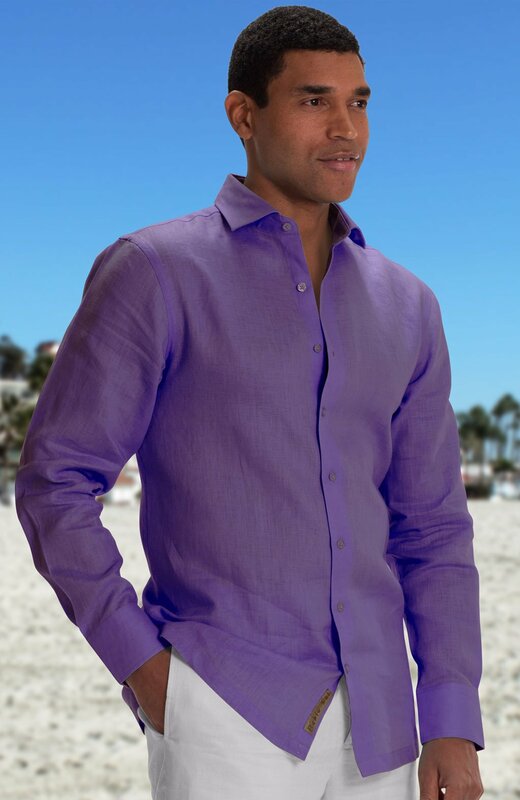 Ditch the traditional groom’s attire on your special day and opt for something more unique, stylish, and classy. 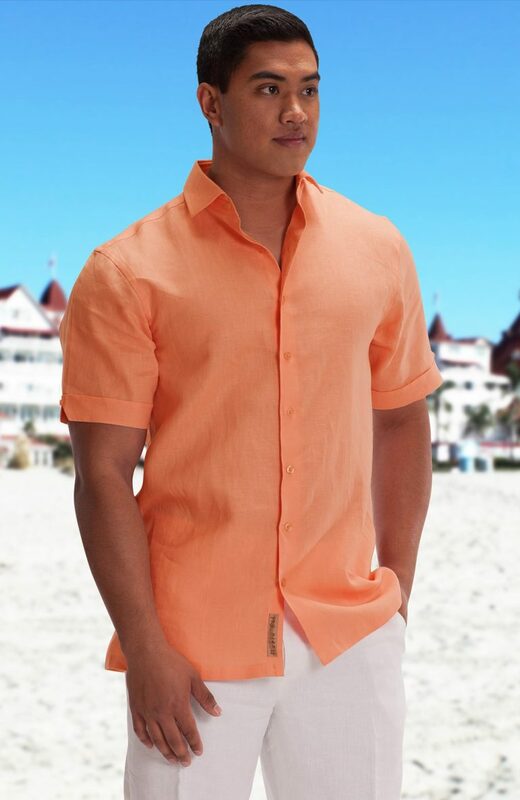 This awesome Italian wear will fit all your needs, you can’t go wrong with this shirt! 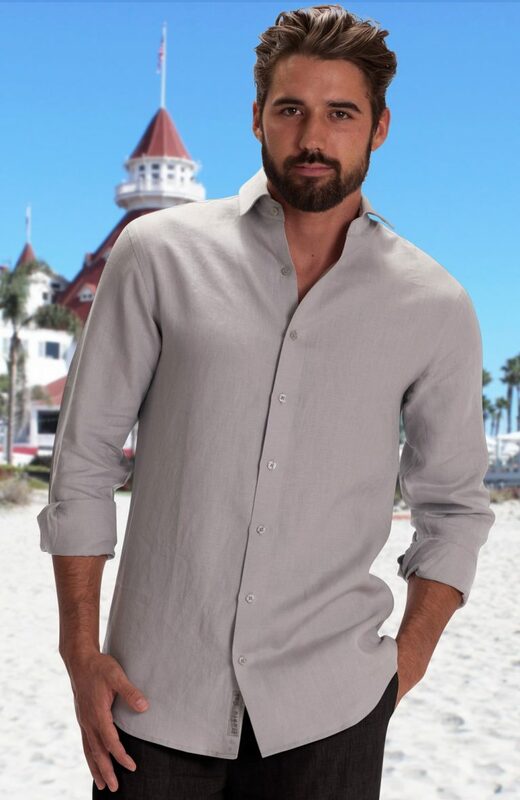 This Bradford linen designer shirt has everything you would look for in men’s tropical clothing. It is sleek with a relaxed fit ideal for the mood at the beach. 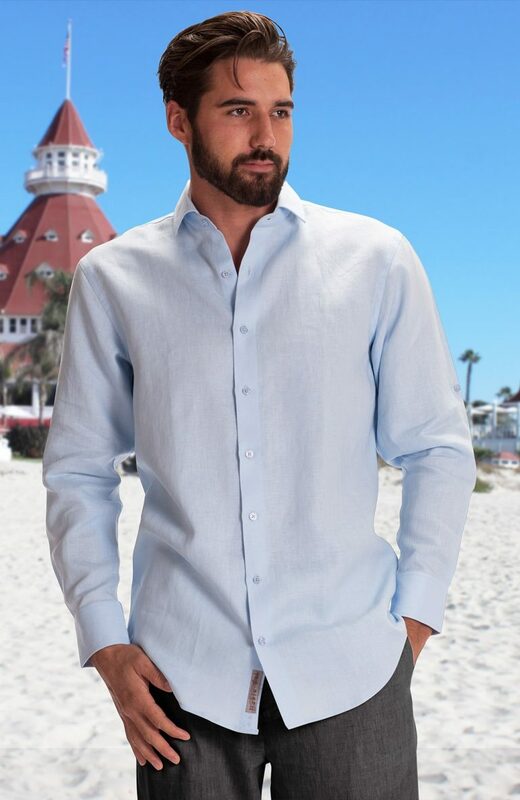 The Bradford beach shirt is made of 100% soft linen which makes it the perfect selection for both casual and formal occasion since it can double as a men’s linen dress shirt. When it comes to sizing, the Bradford stock is made up of a wide variety of sizes for everyone from small to 5XL. 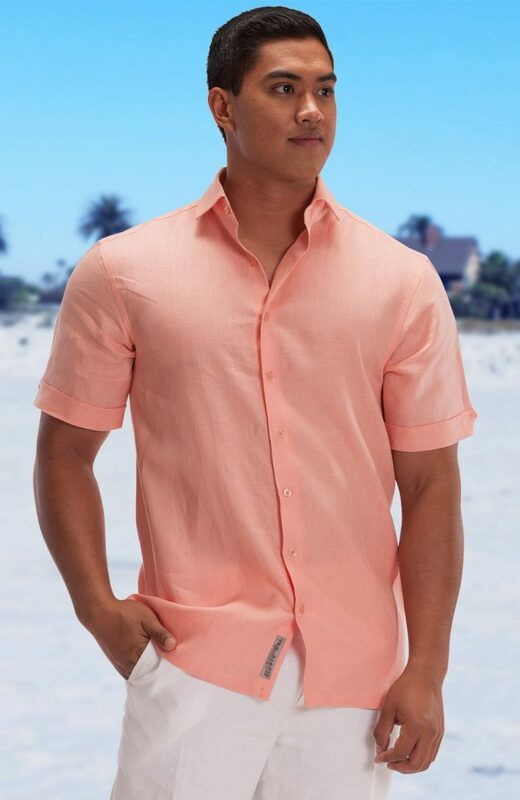 The best part is that you can opt for a customized order where you get to specify what you need your shirt to have when placing the order. You can do this using the “Tailored” button. 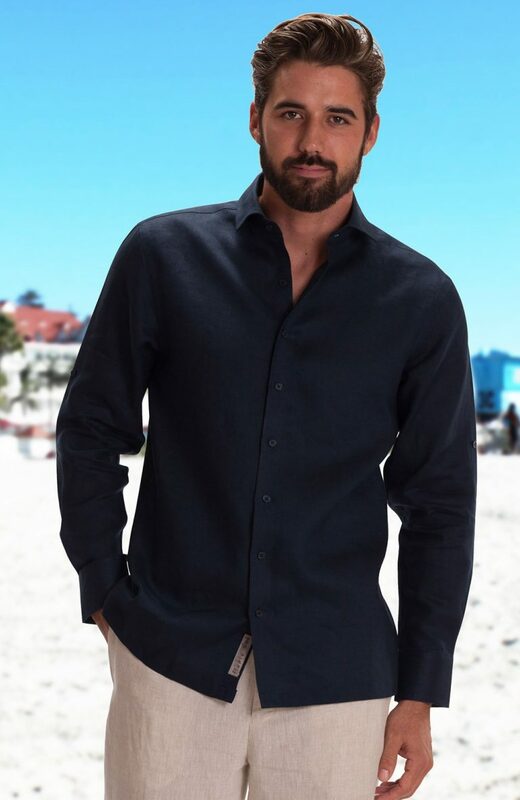 With it, you can choose between a relaxed fit with a straight hem or a fitted cut with rounded shirttail hem. 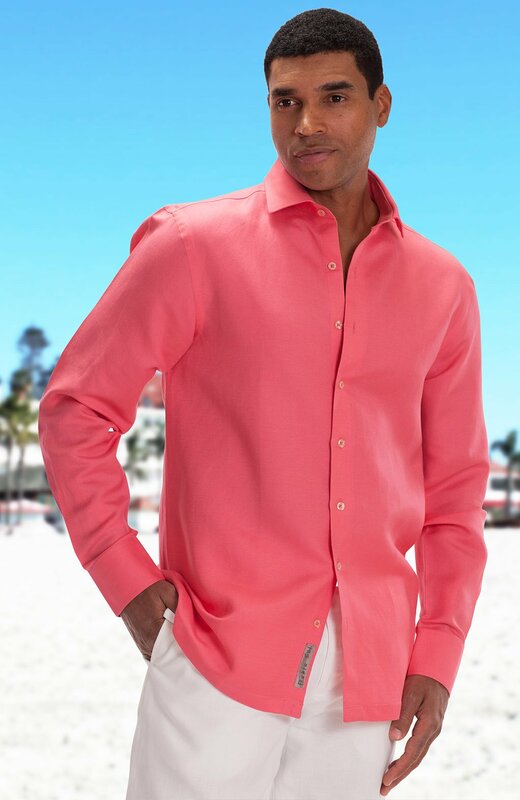 Also, you have 24 options of fabric color to choose from according to your likeness. 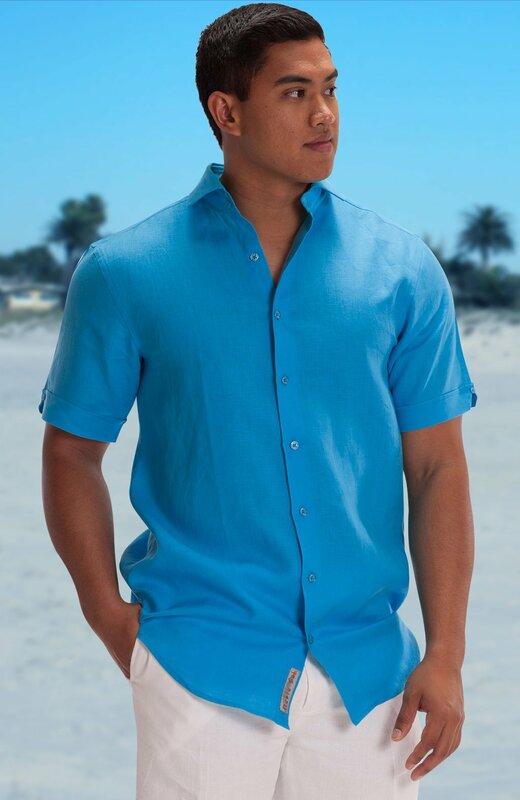 The other features that you can personalize include the type of buttons, sleeves (long, short, rolled, French Cuff), and the style of the color. Allow about 4-6 weeks for delivery after customizing your order.